The Poltergeist franchise is famously cursed, supposedly due to the real human skeletons that were used as props in the original film. Stars Heather O’Rourke and Dominique Dunne both died young under tragic circumstances, and spooky happenings occurred on the set not only of Tobe Hooper’s 1982 movie, but on the set of Poltergeist II and the 2015 remake as well. Compared to all that, then, rumors that have persisted for decades that producer Steven Spielberg, not credited director Tobe Hooper, actually directed the film are no big deal. Obviously, the existence of curses and ghosts and assorted beasties that hide in kids’ closets can’t be proven. Those rumors about the film’s true authorship can, though, and Wish Upon and Annabelle director John Leonetti did pretty much exactly that on the newest episode of Blumhouse’s Shock Waves podcast. Leonetti’s brother Michael was the DP on Poltergeist, and got John a job as an assistant cameraman on the film. And according to the younger Leonetti, it was quite obvious who was in charge on the set. Candidly… Steven Spielberg directed that movie. There’s no question. However, Tobe Hooper – I adore. I love that man so much. But had I known you were going to ask me that question, I would’ve brought this one picture I have, which is the whole movie in one shot. It’s the scene where the tree comes in to grabs the boy, and we have two cameras set up. 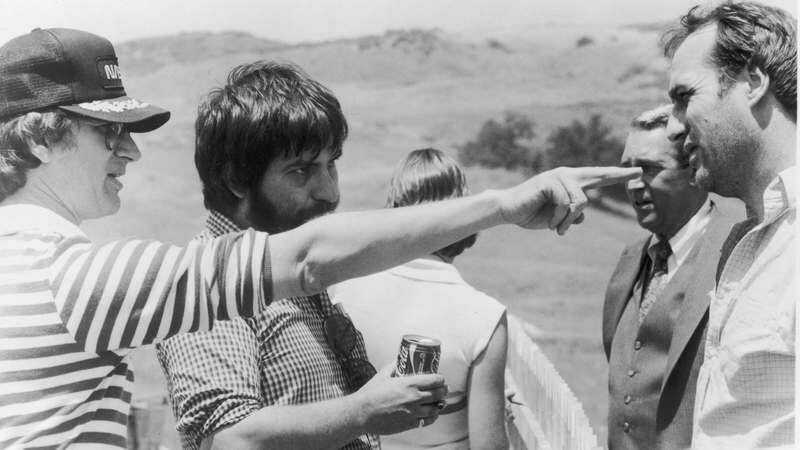 In the foreground on an apple box is (an excited) Tobe, standing right behind him is Spielberg pointing. Next to him was my brother on camera and me. Leonetti goes on to say that while the atmosphere on the set was intense, after work Spielberg was quite personable and invited the Leonetti brothers to his house to watch dailies. He adds that the prospect of an impending directors’ strike led to the swapping of the credits, which Hooper—according to Spielberg as well as Leonetti, just a chill, easygoing guy—didn’t mind at all. Hooper was so nice and just happy to be there. He creatively had input. Steven developed the movie, and it was his to direct, except there was anticipation of a director’s strike, so he was “the producer” but really he directed it in case there was going to be a strike and Tobe was cool with that. It wasn’t anything against Tobe. Every once in a while, he would actually leave the set and let Tobe do a few things just because. But really, Steven directed it. You can listen to the whole episode below.